For over three decades now, Gus Van Sant has been walking a fine line between esoteric art projects and feel-good Hollywood entertainments. He’s got a slick, crowd-pleasing sensibility and an avant garde soul — a combo that can come out awfully sour sometimes if the ingredients aren’t mixed properly. 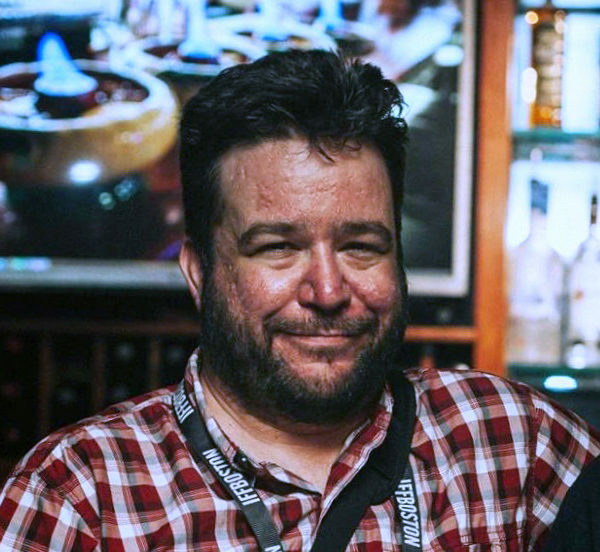 He’s made some of my favorite films from the past 30 years (“Drugstore Cowboy,” “To Die For,” “Last Days”) and some we shall never speak of again (“Even Cowgirls Get the Blues,” for starters). Indeed, it’s hard to think of another contemporary director I would call great who has helmed so many uniquely terrible movies. But that word “uniquely” may be the key, as even the worst Gus Van Sant film is unmistakably a film by Gus Van Sant. (Heck, the guy tried re-making Hitchcock’s “Psycho” shot-for-shot and came out with a disaster all his own.) His films — whether good, bad or ugly — share not just similar shallow-focus camerawork, low-contrast colors and noodling soundtracks, but also a deeply felt empathy for outcasts and screw-ups, along with playful bits of formal experimentation. 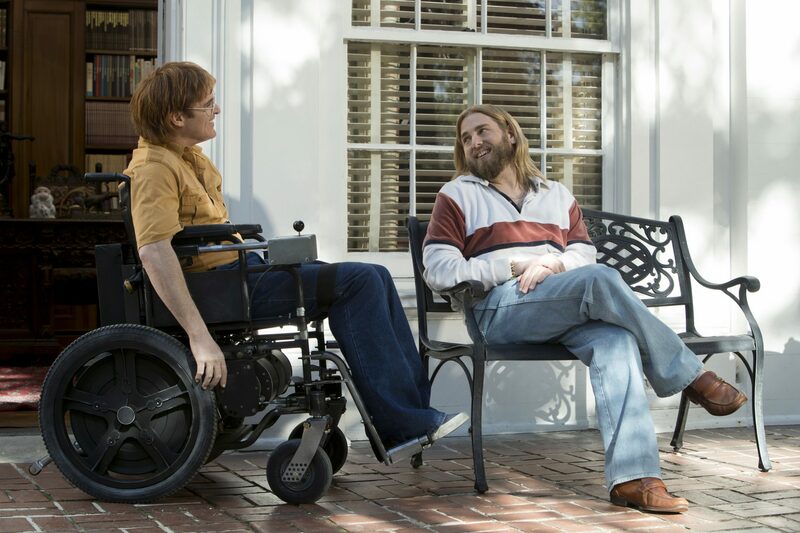 “Don’t Worry, He Won’t Get Far on Foot” is his most Gus Van Sant-y picture in a good while, shuffling around pages of the inspirational biopic playbook into something a bit trickier and a lot more rewarding. It’s got the loosey-goosey, anything-goes energy of Van Sant’s gay hustler “Henry IV” adaptation “My Own Private Idaho” along with the meat-and-potatoes melodramatic flair of his “Good Will Hunting.” From scene to scene, the movie has a restless vitality that feels liberating. I liked it a lot. 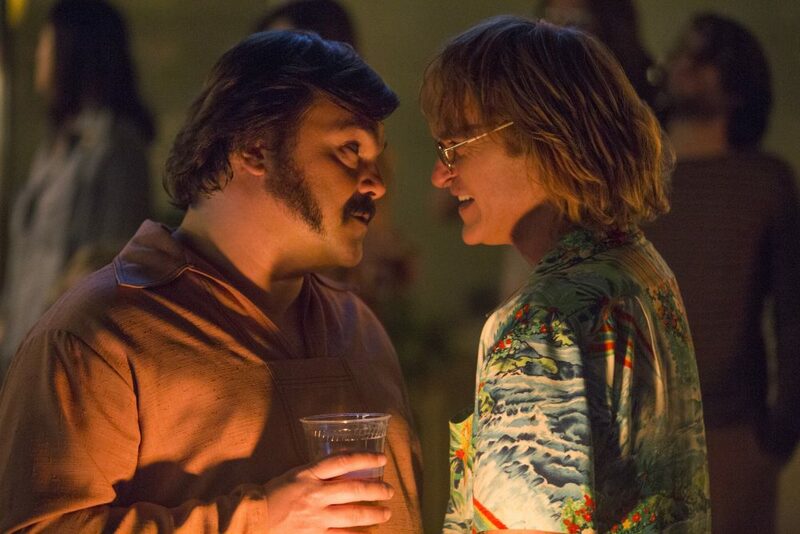 Joaquin Phoenix turns in another one of his shape-shifting performances as Portland cult hero John Callahan, a quadriplegic cartoonist who became notorious for his bad-taste comics — single-panel groaners at which you laugh often despite your better judgement. (The film takes its title from a doozy of a wheelchair joke.) Overcoming physical adversity is a remarkable story, but it turns out this artist’s real battle was with the bottle. The heart of the movie lies in Callahan’s group therapy sessions, regally presided over by an unrecognizable Jonah Hill, who plays everybody’s sobriety coach with the casual élan of a Bond villain on his way to Studio 54. I really can’t say enough about how wonderful Hill is here, and what unexpected authority he brings to this disco-dancing queen, who dispenses hard-won wisdom with a healthy chaser of withering sarcasm. This group he calls “his piglets” includes singer-songwriter Beth Ditto, Warhol regular Udo Kier, comedian Ronnie Adrian and even Sonic Youth’s Kim Gordon as a stuck-up housewife in pearls. Van Sant has enormous affection for these folks, and it’s no accident that he begins Callahan’s story with them each taking turns telling their own. The group scenes crackle with irreverence, members constantly calling one another on their self-pity and rationalizations. “Don’t Worry, He Won’t Get Far on Foot” is about therapy and healing as a process, one that never ends. That’s why Van Sant shakes up the order of all the scenes and keeps coming back to different times at which Callahan repeats the same riff about his mother, the telling and re-telling of one’s story being a crucial component of recovery. Callahan’s book was originally brought to Van Sant’s attention back in the 1990s by his “Good Will Hunting” star Robin Williams, who wanted to headline a film adaptation as a tribute to his friend Christopher Reeve. Alas, Callahan, Reeve and Williams all died before the film finally got made, but “Don’t Worry, He Won’t Get Far on Foot” contains none of the heaviness one might expect from a production weighed down by so many tragedies. It’s got an impish sense of humor befitting Callahan’s sickly funny cartoons, which sometimes spring to life in crudely animated interludes. Van Sant hedges his bets a bit by having a person of color actually sit down and explain why one of Callahan’s more offensive comics is so funny, as if preemptively trying to shut down the people who spend all day getting mad about this sort of stuff on Twitter. 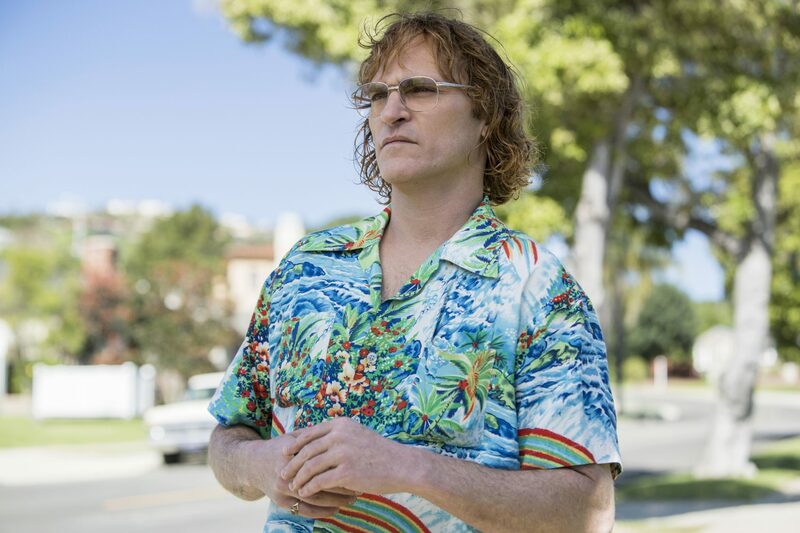 But for the most part, “Don’t Worry, He Won’t Get Far on Foot” exudes an attitude of improbably sunny rudeness, with Phoenix’s puckish performance giving us a guy who is often difficult to like but impossible not to love. “I thought after I had my epiphany I’d be all better and live happily ever after,” Callahan bristles after an especially cathartic group session, ruefully realizing this struggle will go on for the rest of his life. You might smell a whiff of self-rebuke here, as after all, Van Sant directed one of the movies’ most iconic therapy sequences in “Good Will Hunting,” an enormously moving moment that was basically full of crap. After hearing four magic words, fictional character Will Hunting was miraculously healed and rode off into the sunset to go see about a girl, but in real life John Callahan had to take things one day at a time. "Don't Worry, He Won't Get Far on Foot" opens at Kendall Square Cinema July 19 and Coolidge Corner Theatre July 20.